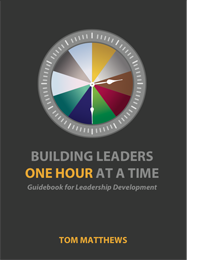 Building Leaders One Hour at a Time tells the story of the development of the GOLD Leadership Program at SUNY Geneseo and provides lesson plans for creating user-friendly short courses in leadership and life skills. The narrative and the syllabi serve as a practical guide for organizations with limited resources to create programs through collaborative leadership. The book is divided into two parts. Part One includes seven chapters detailing the history of the SUNY Geneseo GOLD Program and the collaborative leadership used to create and develop the program. The reader will also learn how the various components of the program are organized and managed. Part Two provides lesson plan descriptions for 160 workshops that may be used by the reader as guides for organizing similar learning modules when creating or revising leadership development programs. Although this book was developed primarily to help leadership educators in higher education that have similar human resources on their campuses, these lesson plans use a one-hour format that may be adapted in secondary schools, nonprofit agencies, businesses, government agencies, or wherever a need exists to improve the leadership process within an organization. The practical use of these lesson plans will make a difference in any team or group. Just invite a local “expert” to offer a one-hour lesson on one or two critical leadership skills such as listening skills and running effective meetings and imagine the difference that might make in better relationships or more productive meetings. Participants will ask for more and people will quickly begin offering their “expertise” in your leadership program. Scan Part Two for a treasure trove of ideas and go back to Part One to learn how to engage others in creating or expanding a practical approach to leadership development.